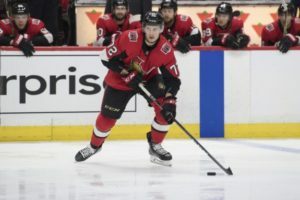 WHERE WILL MARK STONE GO & WHAT’S THE RETURN? 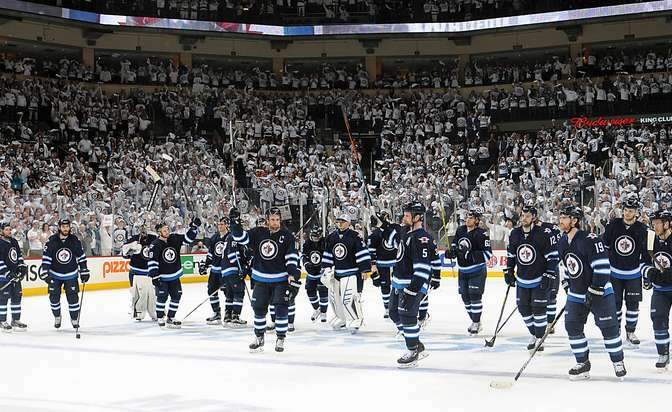 IAN SHEPPARD: The Winnipeg Jets. Most people see Stone fitting in with his hometown team and so do I! 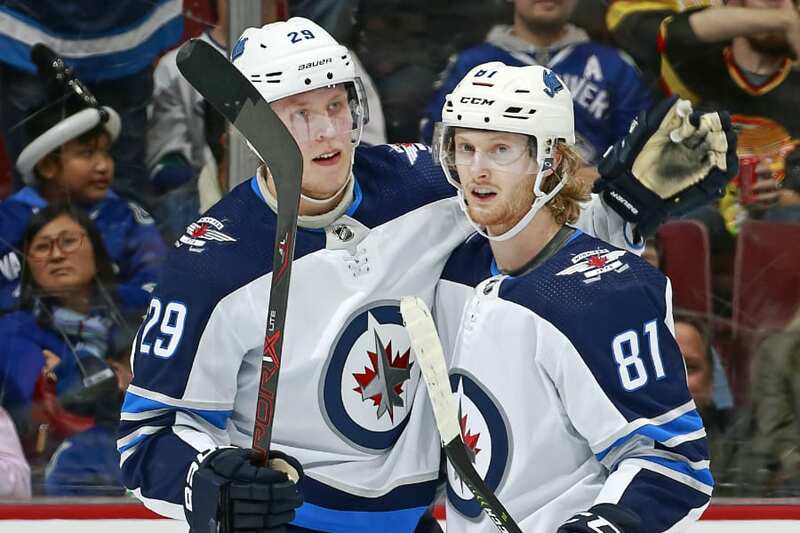 Nestling Stone into one of the top-6 RW spots would be the perfect piece for Winnipeg to finely get over the hump and potentially into the Cup Final. The only issue becomes cap with Winnipeg currently a few million under what Stone’s contract requires. They have to move a piece back like Brandon Tanev or Mathieu Perreault. In return, the Jets would almost certainly give up the first round pick that they’ve announced is available. 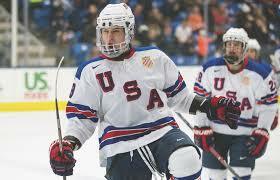 One other team that could make a move for Stone is the Bruins. They’ve already expressed an interest to go after him in the offseason but are in worse cap shape than the Jets. WYATT ZIEGER: Duchene, the best centre available is already gone and now it comes down to a bidding war between 3 teams (Nashville, Boston, and Winnipeg) for 2 players (Stone and Panarin). Mark Stone is a fun one for me, he’s probably my favourite chip in play this deadline. I think he’s Winnipeg’s favourite too. The 26 y/o Winnipeg native is a free agent after this season and a lengthy push with the Jets could keep him around for the future as well. The Jets seem content with making a big splash after last years defeat to the Preds. They like Little enough down the middle as a number 2 to make a move for a top 6 winger instead. 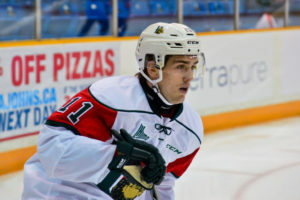 TYLER YAREMCHUK: I think Stone is going to the Winnipeg Jets as well. The Jackets and Bruins are done, so it really comes down to the Preds or Jets. 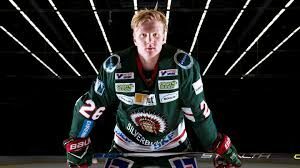 I think Winnipeg will offer Kristian Vesalainen, one of Sami Niku or Tucker Poolman, a first round pick, and another first round pick if Stone resigns in Ottawa. 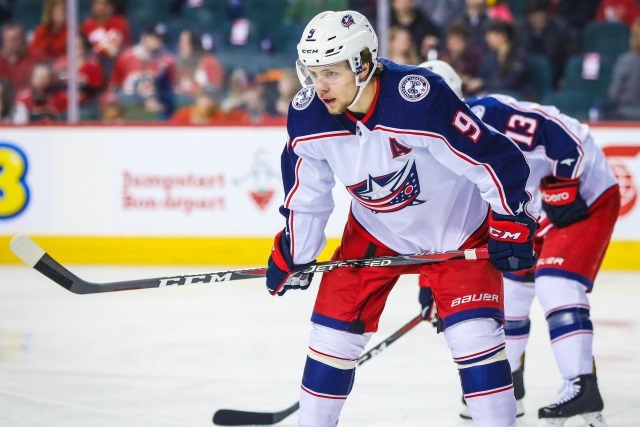 WHERE WILL ARTEMI PANARIN GO & WHAT’S THE RETURN? IAN SHEPPARD: Where will the Bread Man land? Perhaps somewhere with an abundance of pants stores? Okay jokes aside I think Nashville will ultimately land Panarin. The Press are in the same boat as the Jets. They’re searching for that one piece that will finally land them a date in the Cup Final. Panarin could be that piece as a top-scoring winger. His cap number fits tightly into what Nashville is working with. In terms of the return for Columbus, I don’t think Nashville will be scared to send back one of their many defensive prospects with the first round pick. They most certainly are approaching a win-now mentality. WYATT ZIEGER: Last and certainly not least, the Bread-man, Artemi Panarin. Panarin leads all trade bait with 67 points in just 56 games and has the purest offensive skill of the players available. A team wanting his services would put themselves over the top but would have to pay a fairly large ticket price. With their 2nd-RD-pick already gone this year, I don’t believe Nashville is going to try and mortgage any more of their future and that Boston is the favourite to acquire Panarins services. Boston has a plethora of young prospects to deal as well as all their first 3 round picks for the next 3 years. If bean town wants to survive a playoff matchup against the likes of Tampa they’ll need all the firepower they can get. TYLER YAREMCHUK: First off, I don’t think Panarin will go anywhere. Columbus is clearly loading up. 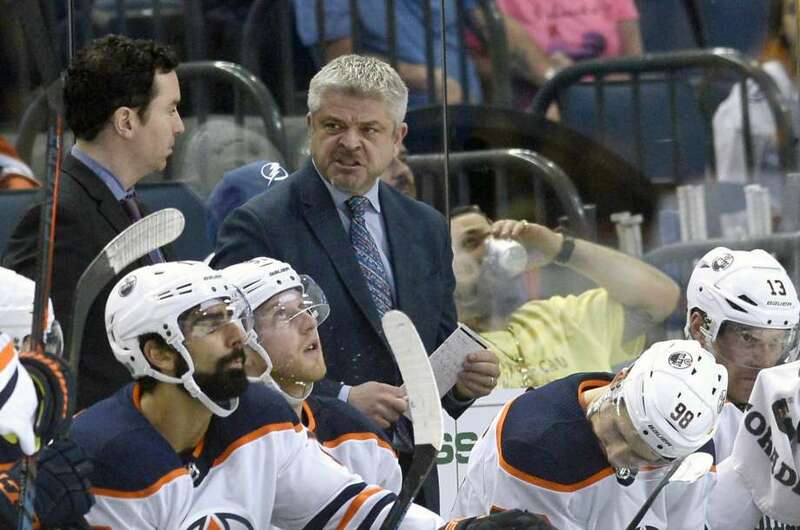 But I think Jarmo Kekalainen should consider a move with Florida. 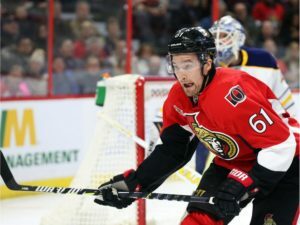 There are rumours that Florida is willing to move on from Mike Hoffman so how does this sound: Mike Hoffman, a prospect, and a first round pick for Artemi Panarin. 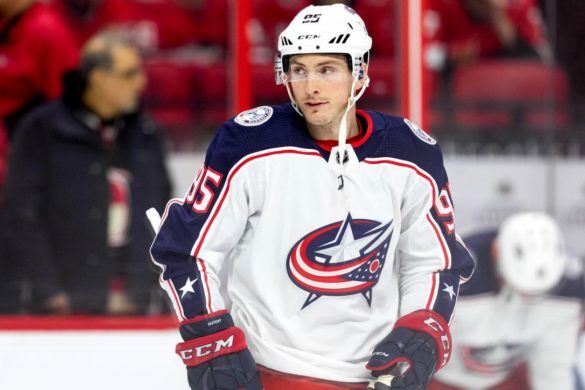 Columbus recoups an asset they used for Duchene and still get a player they can use for the playoff run. A good way to balance their bet. Again, I think CBJ is going all in so I don’t believe Panarin goes anywhere. 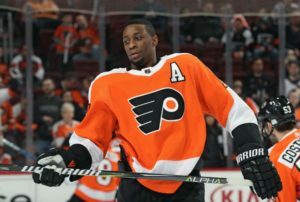 WHERE WILL WAYNE SIMMONDS GO & WHAT’S THE RETURN? IAN SHEPPARD: Montreal! That’s right! 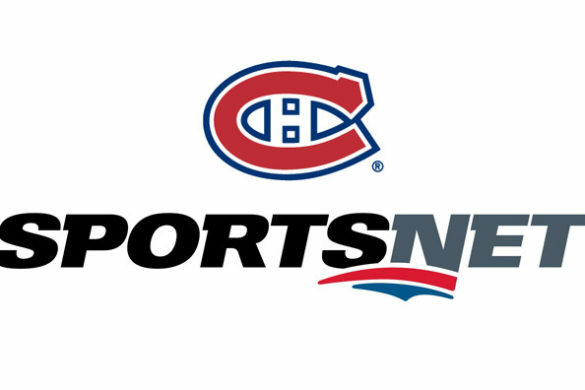 I see the Canadiens going out and making a splash at the deadline as they hover around the two Wild Card spots. Simmonds’ three and a half million dollar salary would be no issue for Montreal with over nine in cap space plus adding him next to Max Domi on the second line could give them the boost they need. In terms of return, Montreal has a bevy of picks including two-second rounders and three in the fifth this year. It wouldn’t be out of the question to see them send one of those seconds and maybe one from next year or a prospect to get this deal done. WYATT ZIEGER: First of all I’m 0/1 because we had originally had Duchene as this question and I had Nashville as my top destination (thanks CBJ). Now for Simmonds though … and the best landing spot for him I think is the Toronto Maple Leafs, obviously they have created a 5-6 year window for themselves and have already acquired Muzzin but now they need some grit to solidify their top 9. Unless Philly can hold out for a 1st-RD-pick, I think TML wins his services. TYLER YAREMCHUK: If an extension doesn’t get done in Philly, which it might, I think Nashville might go after him. They want to get big and they want offense. Simmonds can do both. Nashville might be very mad about missing out on Duchene and potentially Stone. 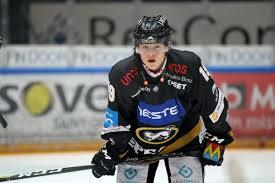 They could overpay and offer Elli Tolvanen. WHICH TEAM WILL HAVE THE TOUGHEST TIME STAYING UNDER THE CAP NEXT SEASON? TYLER YAREMCHUK: The Winnipeg Jets. Even if the cap goes up to $83 million, they’ll have just over $26 million to sign Patrick Laine, Kyle Connor, and Jacob Trouba. That will all cost them at least $24 million combined, and that’s being generous. From there, they’ll still need two defensemen, four forwards, and a backup goalie. Now, I understand that they have some up and coming players on ELC’s that can slide in, and they could look at moving someone like Mathieu Perrault, but things are going to be tight in the ‘Peg. Nik Ehlers might be a cap casualty. IAN SHEPPARD: See question 1. The talk for the last year has been about how the Leafs will maintain their young players with expiring ELC’s especially with the signing of John Tavares. With Matthews now being locked up at $11.6 AAV, it’s just one more domino in the cap issue. Trying to shoehorn Marner’s potential deal into this group is going to be the tight rope that GM Kyle Dubas needs to tread. The right smart moves will keep the Leafs a Cup contender for at least five years. The wrong one could shrink that window. 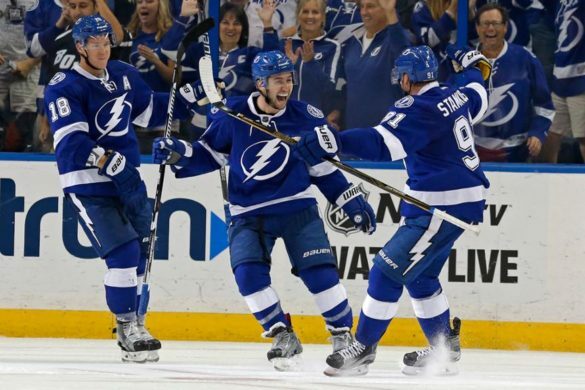 WYATT ZIEGER: Tampa’s going to have a hell of a time this summer getting Brayden Point on a team friendly deal this offseason. Point could very well command 10 million plus if he scores over 100 points this season, which he’s on pace for. Tampa will shed over 11 million in cap space from Stralman, Coburn, and Girardi if that happens though they will only have five roster defensemen. There is also the pay raises for both Kucherov and Gourde that totals nearly 9 million almost cancelling out the money coming off the books. If I’m an NHL GM this summer, I’m throwing the ever sacred offer sheet his way. WILL MATTHEWS, NYLANDER, & MARNER ALL BE LEAFS NEXT SEASON? TYLER YAREMCHUK: I think they will be. The Leafs don’t have a “Marner, Matthews, Nylander’ problem; they have a Zaitsev & Marleau problem. If they package Kasperi Kapanen with Zaitsev, they could likely get a pick in return and shed $4.5 million in cap space. If they move out Connor Brown as well, then they’ll have an extra $6.5 million to fill out their roster. They can keep all their big guns if Kyle Dubas plays his cards right, and I think he will. IAN SHEPPARD: No. I honestly don’t think so. They could end up moving Jake Muzzin, Patrick Marleau, Kasperi Kapanen or Nikita Zaitsev but the way Marner is playing right now I could see someone making a legit offer sheet for him. For me either Marner leaves via the offer sheet or they end up trading Nylander to ensure they keep Marner. Keeping Muzzin or Marleau and maybe Kapanen keeps the depth of the team. Their window of winning it all can stretch over the next five years if they keep a deep core. I believe ripping the band-aid off with Marner or moving Nylander will help that. WYATT ZIEGER: I think two of the three will return. 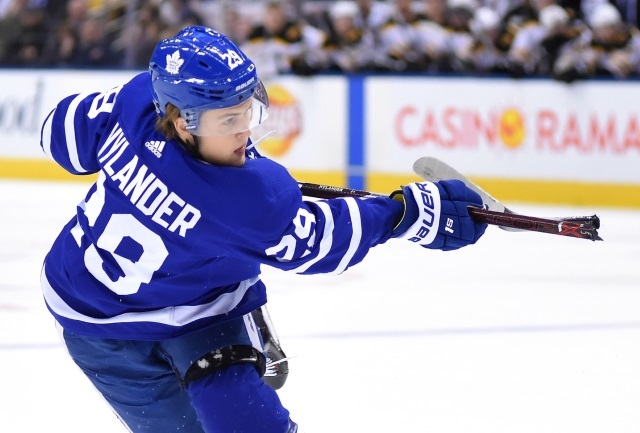 Auston Matthews and Mitch Marner are both key components on the team, and I believe Nylander’s contract holdout has put a sour taste in some fans mouths still. 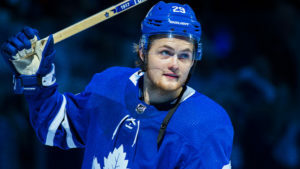 The Leafs are going to eventually need to shed salary and are still a top 4 D away from cup contention, and trading Nylander would accelerate the process. That deal most likely won’t come down at the trade deadline but could be a draft table move; we’ll wait and see. WHICH TEAMS 2ND HALF RESURGENCE HAS SURPRISED YOU THE MOST? TYLER YAREMCHUK: I understand that the Flyers are seven points out of the playoffs, but their rise from laughing stock to a team that could work their way into playoff contention has been fun to watch. Carter Hart adds another fantastic layer to this. They have a solid team on paper; if they keep this winning streak going, they could make things real interesting out east. IAN SHEPPARD: The Blues. At the start of the season, I answered one of these questions with St. Louis as my surprise slumping team to start the year. The talk was about them selling off pieces after coach Mike Yeo was fired. Vladimir Tarasenko and Colton Parayko were expected to be dealt at the deadline. But since then the team has turned it around winning 9 of 14 games in 2019 and now find themselves one point out of a playoff spot behind the Canucks. These sellers may find themselves as buyers in a few weeks. WYATT ZIEGER: (Said as Mugato) The Philadelphia Flyers, they’re so hot right now. Philadelphia is 8-1-1 in their last ten and have shot out of the basement, but more work is still needed as they’re still 8 points out of a playoff spot. 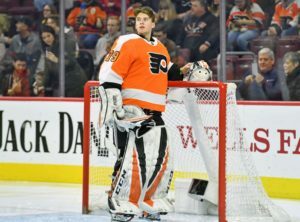 Props to Carter Hart who has been rock solid with a 2.48GAA and .925SV% and captain Claude Giroux, coming off a 100 point season, who has 58 points in 54 games so far. The Flyers still have a lot of work to do to make the playoffs, but with teams like Buffalo and Columbus on a slide if they stay hot, they still have a chance. 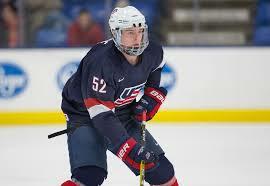 With the World Juniors starting in a week, who are some prospects we should be watching? 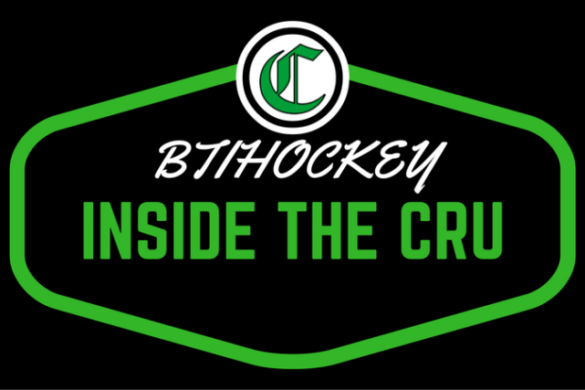 Wyatt Zieger: Like every World Juniors there is a lot of NHL talent both current and future. I’ll save the breakdown of each player and just give you some to look for. 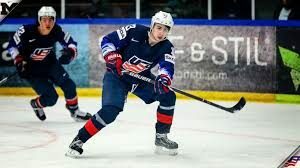 Already drafted: Maxime Comtois, (ANA), Canada, Evan Bouchard, (EDM), Canada, Filip Zadina, (DET), Czech, Martin Necas, (CAR), Czech, Aleksi Heponiemi, (FLA), Finland, Rasmus Kupari, (LAK), Finland, Vitali Kravtsov, (NYR), Russia, Adam Boqvist, (CHI), Sweden, Isaac Lundestrom, (ANA), Sweden, Quinn Hughes, (VAN), USA, Oliver Wahlstrom, (NYI), USA. 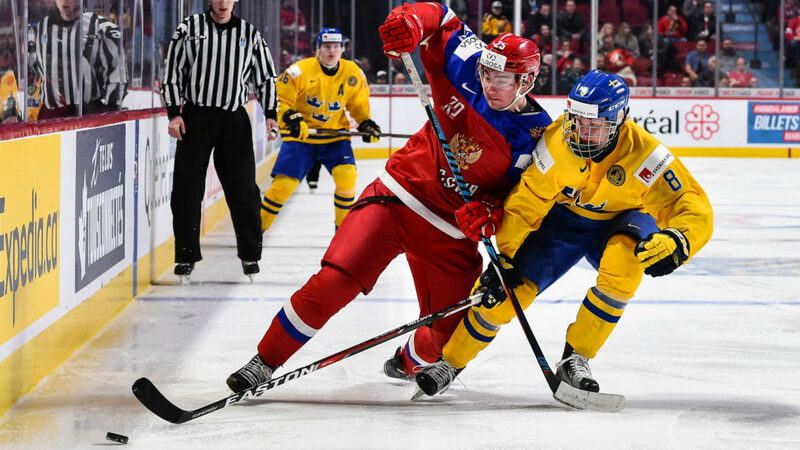 Undrafted: Alexis Lafreniere, (2020), Canada, Brett Leason, (2019), Canada, Vasili Podkolzin (2020), Russia, Anttoni Honka, (2019), Finland, Kaapo Kakko, (2019), Finland, Philip Broberg, (2020), Sweden. 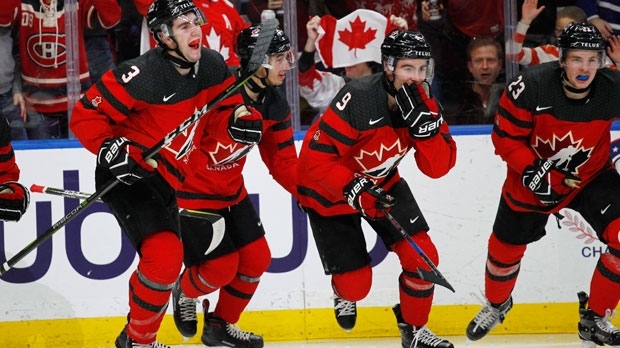 A boatload of talent across the board in what could be the mostly highly contested world juniors we’ve seen in a long time. Nice too see teams like the Czech Republic be medal contenders for the first time in what feels like forever. 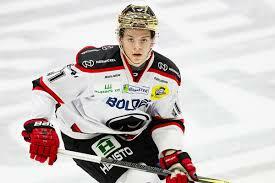 Out of the drafted players expect Comtois, Wahlstrom and Zadina to put on shows for there teams. 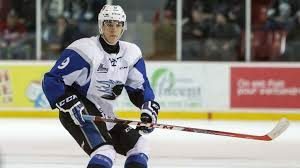 On the undrafted side Lafreniere from Canada is an obvious must watch but keep an eye out for Russian sniper Podkolzin both are 2020 eligible. This years lottery picks Jack Hughes and Kaapo Kakko are two to keep on your watch list. Tyler Yaremchuk: This is a tough one because this tournament is always loaded. It will be fun to watch Alexis Lafreniere, because I haven’t seen him too much. 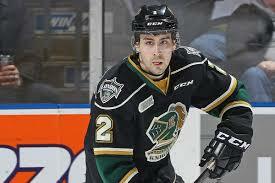 As an Oilers writer, I’ll be watching Evan Bouchard very closely. Also really excited to watch the Hughes brothers with Team USA. Keep an eye on the Czech Republic as well. They got Martin Necas and Filip Zadina. They could surprise. Ian Sheppard: I’m not as well studied up on the World Junior rosters and who to look out for, but for me, I’ll definitely be keeping my eye on Oilers prospects Evan Bouchard for Team Canada and Ostap Safin for the Czech Republic. Outside of the few games Bouchard played for the Oilers this year, I haven’t been able to see much of him where Safin I’ve literally seen nothing from him on the ice so it will be nice to get a sneak peek of what these prospects bring to the table. 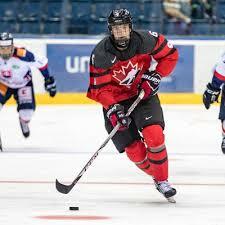 A few other notables on the Canada roster I’ll be paying attention to are goaltender Michael DiPietro, and defensemen Noah Dobson as well as the late addition of the young 17-year-old Alex Lafreniere. 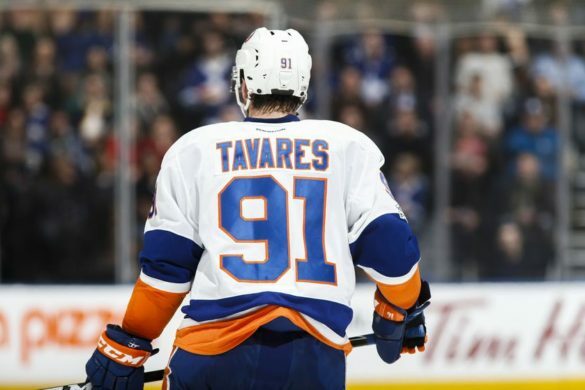 Who will win the NHL’s scoring title this year? Wyatt Zieger: I’ve had a lot of mental debate on this one and it’s going to be Nathan Mackinnon. He plays on the best line in hockey and is only 3 points off the scoring lead now. Mackinnon is a bit of a coin flip because I’m torn between him or Rantanen to win it all mostly because if one scores the other is usually a beneficiary of an assist. There is no way to slow either of them doing but I’ll give the edge to Mackinnon because he is the centre and I believe he is more of the driving force for that offence. 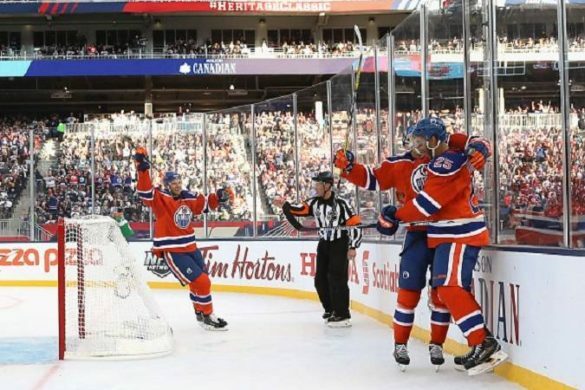 Tyler Yaremchuk: I will never bet against Connor McDavid when it comes to this. He is just one of those players that seemingly never goes through a scoring slump. His consistency, and a hot streak or two, will propel him to yet another Art Ross. Book it! 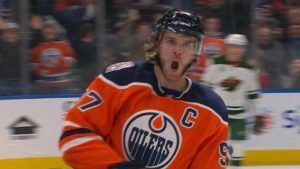 Ian Sheppard: Connor McDavid baby!! Look it’s tough to ever pick against him especially after the way he pulled it out last year. He currently sits in fourth place with 49 points and is very much in the thick of things. But should McDavid not three-peat as the scoring champion who would I pick? 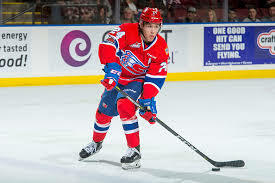 Nathan MacKinnon. Yes, Mikko Rantanen is lighting it up right now in first place but his line-mate is only three points behind him and MacKinnon finished in the top-five last year. 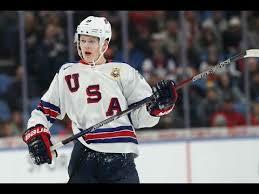 Should McDavid not take the title again I think it’s MacKinnon’s for the taking. Inspired by Sid & Ovi earlier this week: who is the best rivalry in the NHL? 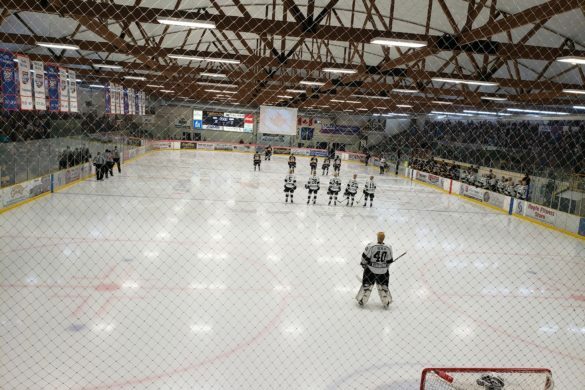 Wyatt Zieger: I’d love to pick the one in my backyard and say the Battle of Alberta but I’ve always been more enamoured by the Flyers and the Penguins. Their 2012 playoff matchup is still some of the best hockey I’ve ever seen and it’s always bad blood between the two clubs. If you want playoff intensity in a regular season matchup tune into a Flyers vs. Penguins game sometime this season. 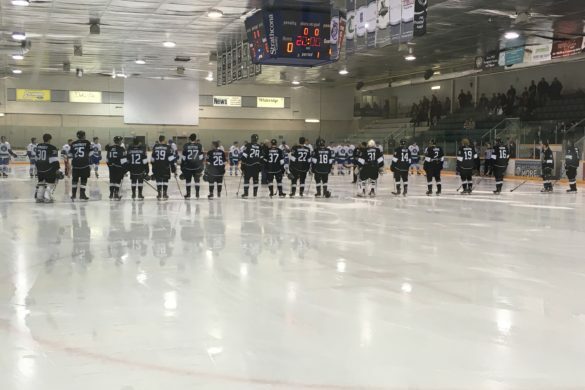 Tyler Yaremchuk: It was nice to see a bit of a spark back in the ‘Battle of Alberta’ but it isn’t the best rivalry anymore. I really like the Sid/Ovi battle and the Penguins and Capitals seem to legitimately hate eachother. That’s the best one going right now. The Penguins and Blue Jackets also had a really nice rivalry going for a while, as did the Sharks and Kings. You could really say any combination of the California teams as well. There isn’t very much hate in today’s NHL, but when teams get going at eachother, it’s still entertaining as hell. 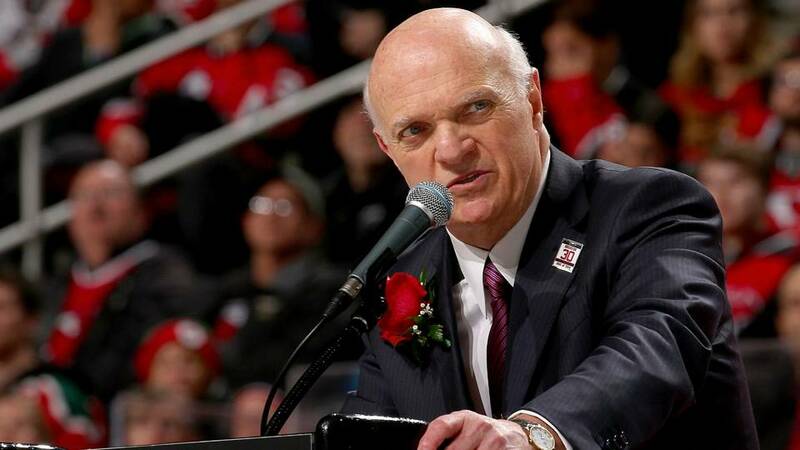 Ian Sheppard: As much as my heart wants to say Calgary/Edmonton, I’m going to have to go with Sid and Ovi. 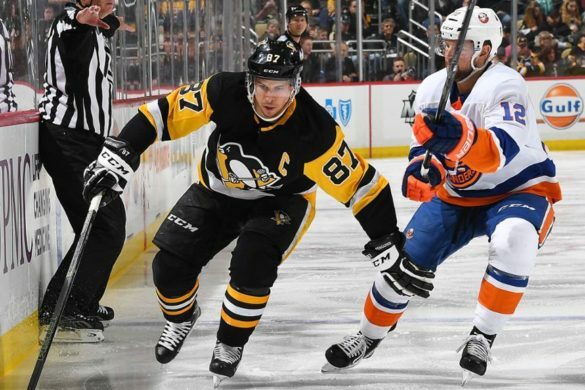 Crosby and Ovechkin have been fighting for league supremacy for over 13 years now and despite some up and coming young talent that looks like they will take over the league sooner than later, I still say these two bring an unmatched rivalry to the game that everyone will miss when it’s gone. The Broad Street Bullies are eight years removed from their last Stanley Cup Finals and while they may no longer be the Bullies of Broad Street as they are a younger, much faster team. 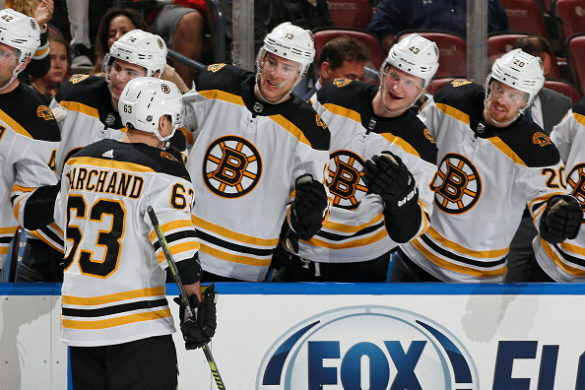 They were still able to find some success this season finishing third in the Metropolitan division sending them to their third playoffs in five years. Philadelphia improved on their 2016-2017 season by ten points as they were led by superstar Claude Giroux and young guns Sean Couturier, Shayne Gostisbehere and Travis Konecny. Giroux finished the season with a career-high 102 points and established himself as once again Philadelphia’s best player. 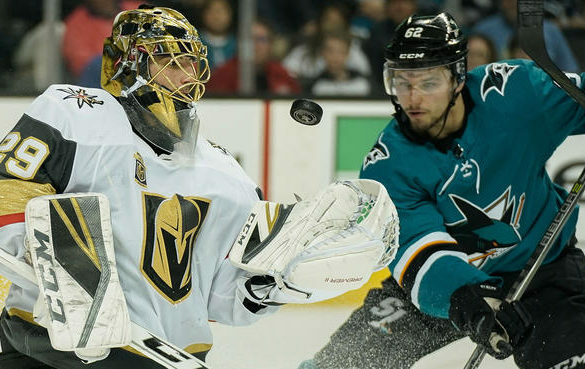 Day 12 of the Stanley Cup Playoffs was back to the norm as an offensive explosion broke out between four teams. A total of 18 goals were scored in both games with the Penguins and Predators moving onto the second round. Equalizer, game-winner and some insurance. @jakenbake20 put the @penguins on his back. It didn’t take long for the offense to pour out in an offensively explosive game. Pittsburgh jumped out to an early 2-1 lead in the first period. 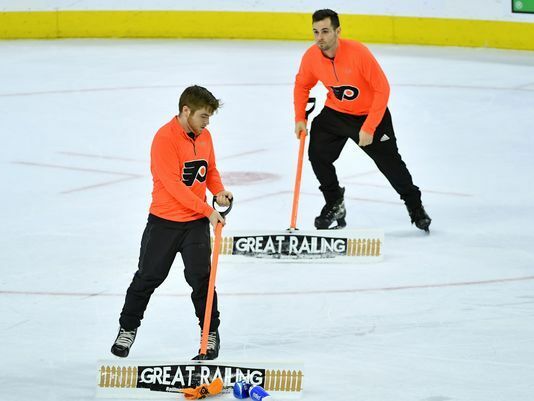 It was Philadelphia who scored first, however, as Sean Couturier scored his third goal of the playoffs and his second in consecutive games two minutes into the game. The Penguins wouldn’t stand for that, as their Captain Sidney Crosby scored his playoff-leading sixth goal four minutes later, off the rebound glove side, tying the game at one. Less than a minute later the Pittsburgh would take a 2-1 lead. Carl Hagelin would score his second of the postseason, waiting all alone in front of the net and capitalizing on a turnover by Shayne Gostisbehere from behind his goaltender. The offense continued as each team seemed to trade goal for goal. Andrew MacDonald blasted one from the blue-line past Matt Murray scoring with five minutes left in the period to tie the game at two heading into the second. Sean Couturier added to his goal total, off of a Patric Hornqvist turnover, on a breakaway, Couturier made a nice deke around Murray to score low blocker side. The Flyers goal came 40 seconds into the second period restoring the lead for Philly 3-2. Philadelphia would add to the lead with Scott Laughton breaking out up the wing and sending a laser shot blocker side to the back of the net for his first career playoff goal. The Penguins did not waste time answering as Patric Hornqvist finished off a tic-tac-toe play with Sidney Crosby and Jake Guentzel to bring the Pens within one goal in the second period. It was then that the Jake Guentzel show started. After a break-out playoff where he scored 13 goals last year, the young forward went off for four unanswered goals in Game 6. The first, off of a rebound with less than a minute left. The second 30 seconds into the third period came off of a steal by Phil Kessel who then set up Guentzel on a short two-on-none to make it 5-4 Pens. With seven minutes left in the game, Guentzel slapped one past Michal Neuvirth, scoring the natural hat-trick off of what looked like a missed tripping call on Kris Letang. 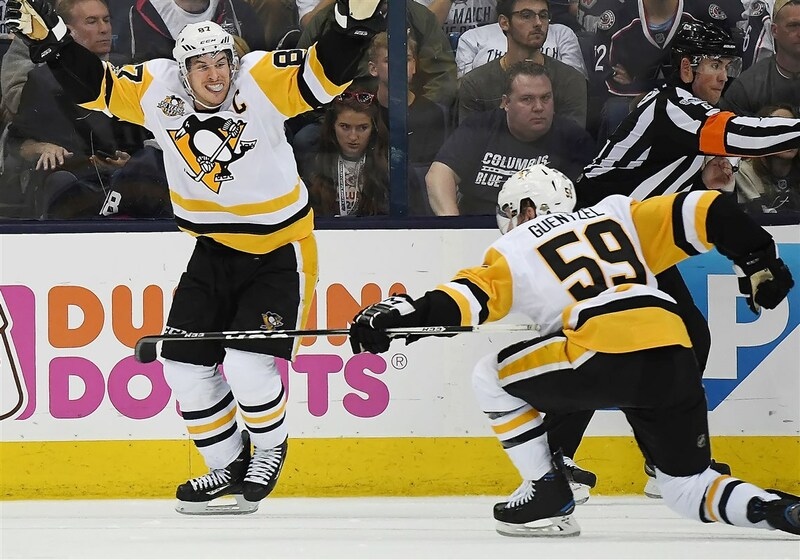 Adding to the impressive day the young forward scored his fourth on a break out with Patric Hornqvist as the Penguins first line scored six of their total eight goals in the game. Guentzel finished with five points in 15:23 of ice time. Sean Couturier added a goal late for a hat-trick of his own, which is especially impressive with him playing on a torn MCL. However, it was nowhere near enough to come close to a comeback. The Penguins overpowered the Flyers on their way to a 8-5 win and a ticket into the second round. Getting an outstanding performace by Guentzel in this one, similar to last year could be a scary vision into what’s around the corner for whoever has to face the defending champions. The offense continued in the second game of the day, but this one was one-sided as Nashville scored a pair of goals in the first and second periods respectively. Mattias Ekholm blasted his first of the playoffs past the Game 5 hero Andrew Hammond for an early 1-0 Nashville lead. Austin Watson made it 2-0 a little over three minutes later, pulling the puck around Hammond down low sneaking the puck past the goaltender’s outstretched pad. The Preds added to their lead in the second period. Filip Forsberg added to his impressive post-season, scoring his fourth, after stealing a pass at his blue-line and sneaking one past the Avs netminder on the break. Seven minutes later Nick Bonino scored making it 4-0 Nashville heading into the third period. Viktor Arvidsson added a goal early in the third, as he blew past the Colorado defenders while holding only half of his stick. The goal led to a 5-0 Nashville victory. Nashville peppered Hammond with 37 shots on goal as they powered their way to the second round. Pekka Rinne stopped all 22 shots he faced from the Avalanche in a strong showing, the type his team will need if they wish to compete with a strong Winnipeg Jets team in the next round.